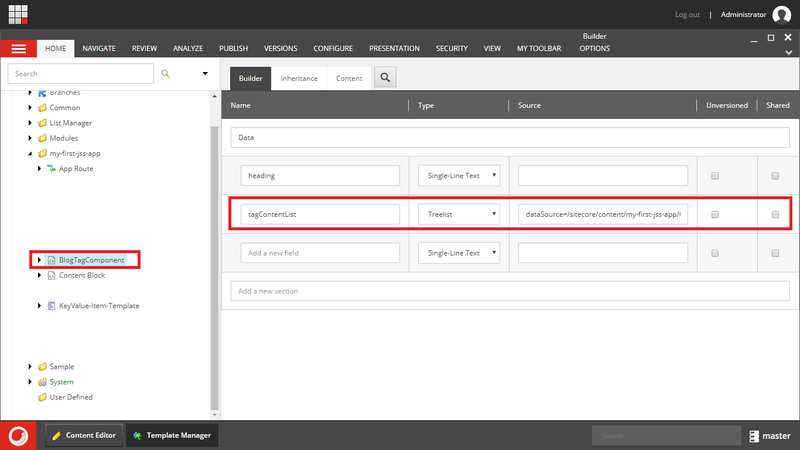 If you are new to Sitecore JSS app and want to develop any website from it, then best place to start working on this is to restore sample Sitecore JSS app. Default Sitecore JSS app comes as boilerplate. If you like you can remove these files and folders manually. To make your life easy, I have created a batch file which remove all these contents and give you perfect empty app in just two click. Just copy the batch file in your JSS application root directory as "CleanupApp.bat" and run it. If you are working with Sitecore JSS, you may require to share some common data with multiple components. If you are new to Sitecore JSS world, this article is for you. 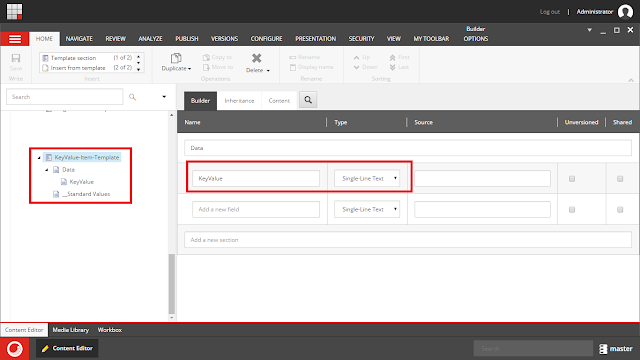 Here I am taking example of Tags component to show tags in blog website. * This is the data template for an individual _item_ in the Tag's Content List field demo. You can add one or more fields in template function here. I have created 4 such tags files in Sitecore JSS application. Till this we have created shared items. Now its time to consume these items in Sitecore treelist. 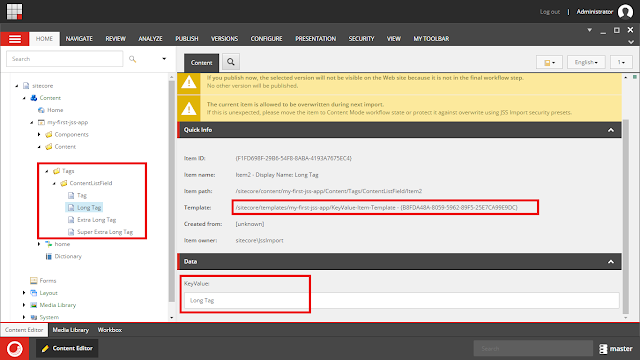 For this, add new component in Sitecore JSS application using “jss scaffold” command. I have added “BlogTagComponent” and its definition file is located at “sitecore\definitions\components\BlogTagComponent.sitecore.js” in JSS application. * Adds the BlogTagComponent component to the disconnected manifest. * This function is invoked by convention (*.sitecore.js) when 'jss manifest' is run. I have added two fields in BlogTagComponent – heading and tagContentList. 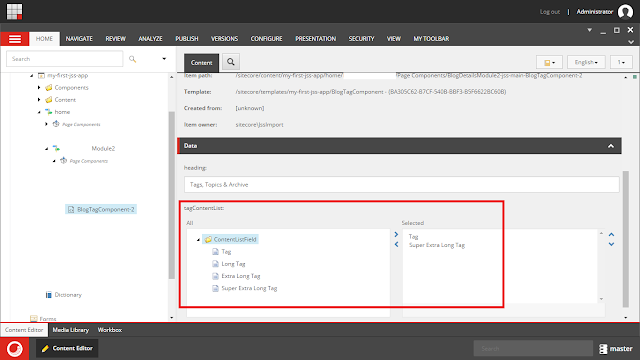 Field “tagContentList” is specified in JSS application as “ContentList” field type which is Treelist in Sitecore and I set its data source at our Tags collection item. To access all selected tags here, we have to iterate it using “tagContentList.map((listItem, index) => ()” code. Inside this map() function, we can access selected items one by one. 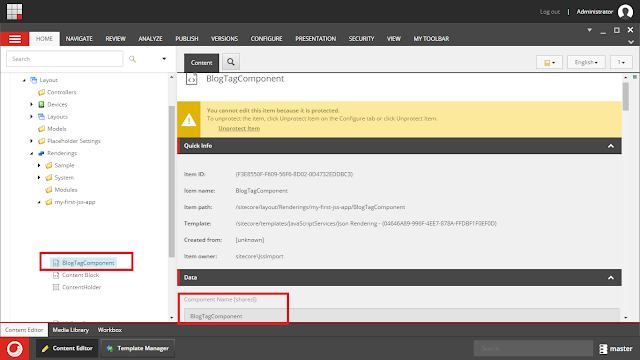 Finally, you should specify this BlogTagComponent in any route file where route file is your page item in Sitecore. As you can notice here we have selected two tags out of 4 available tags and that’s it. Learning from this example - For any common and reused type of content, always create shared list in Sitecore JSS based applications. I hope you enjoyed this Sitecore JSS article.